"I don’t think there’s a study on this yet, but I’ll make a guess based on my shirt-making experience. 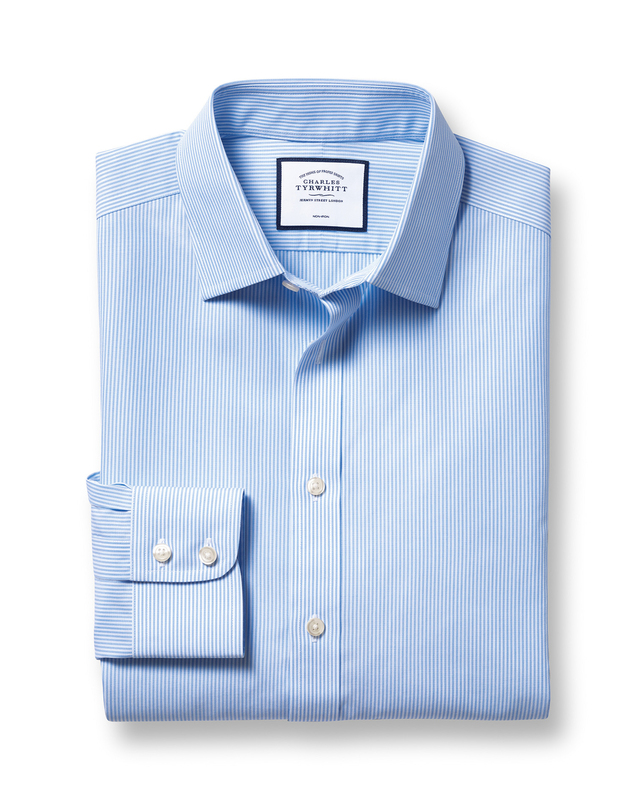 A Bengal stripe-shirt is probably about 34% more likely to get a ‘nice shirt’-type comment than the average of all other styles. Make it non-iron and you’ll have a good 23% increase. They look perfect with a navy suit." "Bengal stripes woven from 100% cotton with a non-iron finish." Faultless, as with all their shirts just great quality. GOOD FIT EXACTLY WHAT I EXPECTED. Again a great shirt for all.